Spent Saturday in the boatshed (Relles garage) adhering the Lonseal Mahogany and Holly vinyl to the marine ply sole. Prep was straightforward, sand with 60 grit, acetone wipe followed by a wipe with alcohol. I then set about completing a test piece by spraying with Ardex AF152 Sheet Vinyl Adhesive, wait 2 hours for it to tack off, wipe the sheet with alcohol and then lay in position. 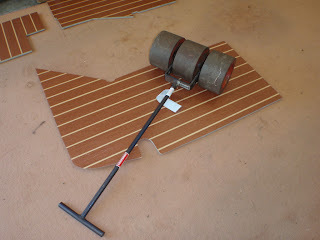 Next was the 3 section, 100lb steel roller! Damn that sucker was heavy.....poor little Kia certainly knew it was in the boot. I am glad I hired the roller from Kennard Hire, as it without it there is really no way you can effectively get the pressure required to set the vinyl onto the adhesive. Once happy, I completed the remaining pieces and she looked a treat. Sunday was spent on my knees replacing the sole support strips that I previously treated with wood preservative so they would not rot away as they had done before. 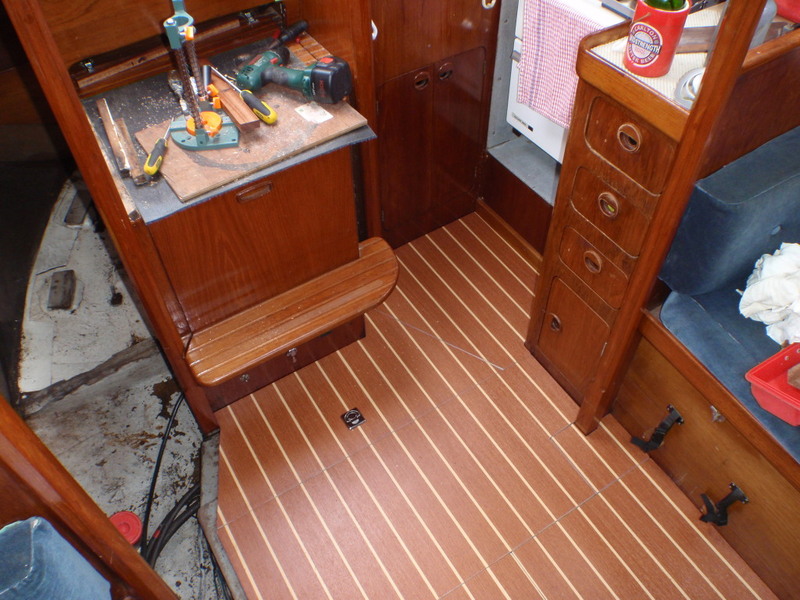 Laid the new sole and fitted a few lifting latches to make removal easier. after I change out the SS Keel Bolts and washers and paint the bilge with 2 pack. I can then install the PYI Floor Anchors - a quarter turn SS Zud style fastener that sits flush. 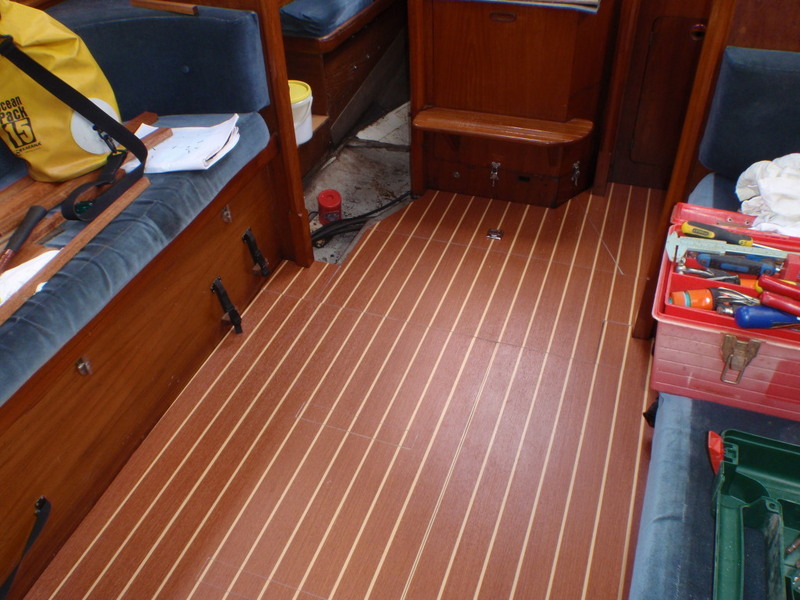 I will then be IASF compliant for fixed floorboards.